Watching any war movie reminds me of the war we as Christians are in...and make no mistake we are at war! And our enemy is just as intent and savage as the Vietnam army in this movie. 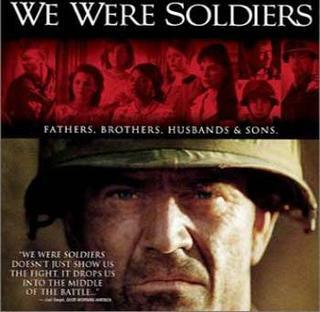 But We Were Soldiers MovedMe because it reminded me in a fresh new way that the soldiers in this spiritual war are regular people as the tagline says Fathers, Brothers, Husbands, & Sons (and might I add Mothers, Sisters, Wives, & Daughters). As a child born in the 70's the Vietnam War wasn't told to me, in the way that the World Wars were. What I mean is I never really heard of heroes or sites where amazing battles were fought. I had never heard of the Valley of Death or Lt. Col. Hal Moore and his men and how bravely they had fought. All I heard were negatives, the "we never should have been in Vietnam" mentality. It was like the war everyone tried to forget. It seems that way about Spiritual Warfare. Either because we have seen hyper/errant usage of the term or because we are in denial I thinkspirituall warfare is ignored for the most part. CS Lewis said (paraphrased) in his book Screwtape Letters that there are two equal mistakes we can make about the devil and his cohorts and that is to completely ignore them or pay too much attention to them. Let's do neither! Fear - this does not come from our Lord yet it penetrates my life in so many ways. Busyness - one of Satan's greatest tactics is to keep me too busy to worship and serve my God. Hopelessness - whenever disappointment, hardship, trials come despair is right on their heels. I find that I often have to pick up my weapons (see Eph 6) and defend myself against anything that tries to war against what I know to be true about God. One of the keys is right here take every thought captive and make it obedient to Christ. The battle that rages against me and the dragon is fought in my thoughts, the inner workings of my heart. It is there that I must not allow thethieff to gain a foothold. By remembering that Jesus is not about fear but perfect love, busyness but a quiet spirit, ordespairr but wonderful hope I take my thoughts captive and I fight! Lt. Col. Hal Moore was a great leader. He led by example and was the first to set foot on the battle field and the last to lift his foot off with all his men dead or alive as he promised. His men were heroes on the battle field selflessly giving of their lives because their country called on them to do so. Yet they came home to no parades, no fanfare just indifference or in some cases disdain. There is a scene that captures this in the movie where two soldiers, one injured in a wheelchair, arrive at an airport. Nobody is there to greet them, in fact as they walk down the terminal a mother pulls her child closer to her as if the soldiers have a disease. How poignant this was for me as I have been so critical of leadership especially church leadership. I've had a crazy habit of second guessing them and not honoring them for the amazing job that they do. The Lord has truly been working on me in this the last few years. Now...I am leadership. And you know what I've found out? Those in leadership, for the most part, do the VERY best that they can. They really do! And they are worthy of the honor that is called for in the scriptures (double honor) for they have put themselves on the front lines battling for our souls. Most do their word knowing they will be called to account for how they have done as our shepherds. I heard someone say that Americans are paranoid when it comes to their leaders...they truly crave strong leadership, but when they get it they don't like it. Or something like that. Yes there are some that lead astray, desire their own power, or are just plain corrupt. Isn't that more reason to search high and low for a good leader or leaders? Ones who care so very deeply for our souls? And once we find them never let them go? 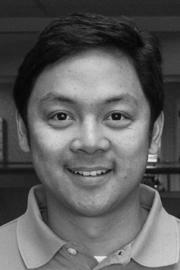 Do the very best to be a help and not a burden as the Bible says? I think so. WE are soldiers! This can be a scary thought...if we let it. In the movie, one of the American soldiers takes a prisoner. Through a presumably Vietnamese-American soldier they pry out the information that there are 4,000 Vietnam soldiers in the hills waiting to kill them. The same ruthless soldiers that massacred a French battalion early on in the movie. Whether the number is true or not I believe this was a tactic to scare Lt. Col. Moore, but it doesn't work, in fact he is unmoved by the information. Yes we are at war, but Jesus says, "I have told you these things, so that in me you may have peace. In this world you will have trouble. But take heart! I have overcome the world." (John 16:33) Or as I've heard so many preach from the pulpit, "don't worry I've read the book...we win!" We will have trouble, we will have trial, we will have tribulation but don't lose heart we serve a master who is all powerful and fights with us. Take heart and fight! Hi we've received 1,000 hits...and I actually started the Hit Meter at zero unlike some others. Thanks for checking us out we do have more MoveMe's coming so keep checking us out. Oh and when you feel so inclined please post a comment! Thanks.